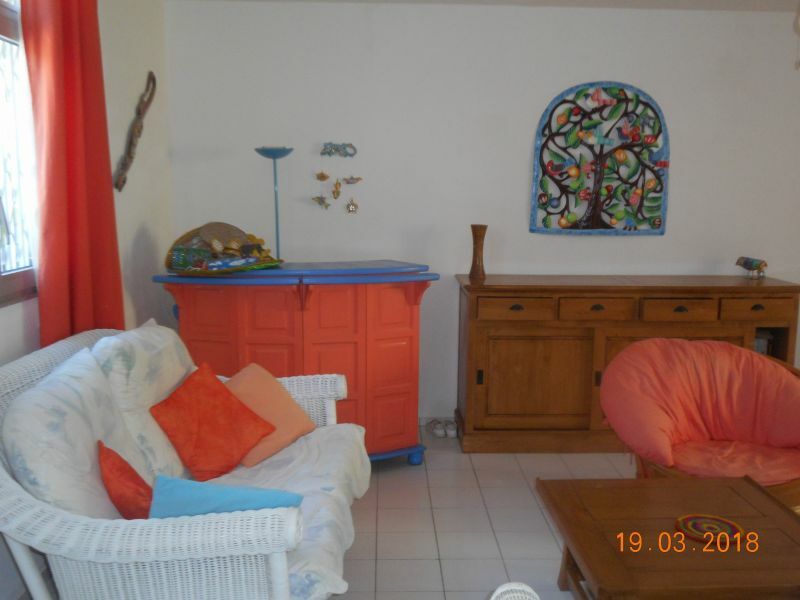 BIG T2 60m2 WITH VERANDA IN REZ OF GARDEN IN RESIDENCE SECURISEE LOCATED A LOWER OF FORT A 200M OF THE BEACH AND TRADE (Shopping center) NUMEROUS RESTAURANTS NEARBY. NAUTICAL SPORTS ON THE BEACH (windsurfing, jetskiing, diving, canoeing, sea trips). Apartment very well equipped (washing machines and dishes, oven, microwave, induction hob, household appliances, cable TV, wifi, air conditioning room and living room, bathroom redone with Italian shower- separate bedroom with double bed and large living room adjoining the veranda with sofa bed.Numerous storage, parking space. Tapering rates from 3 weeks rental. Bed linen and towels provided. the veranda overlooking the garden of the residence ground floor. You can walk to the beach and the mall. Nearby bus to get into town or beaches. Not far from Marina Pointe à Pitre. Tennis and water sports all close. 11/04/2016 | Review by Frederic F.